Company losses could widen to $78m for the year, an analyst said. 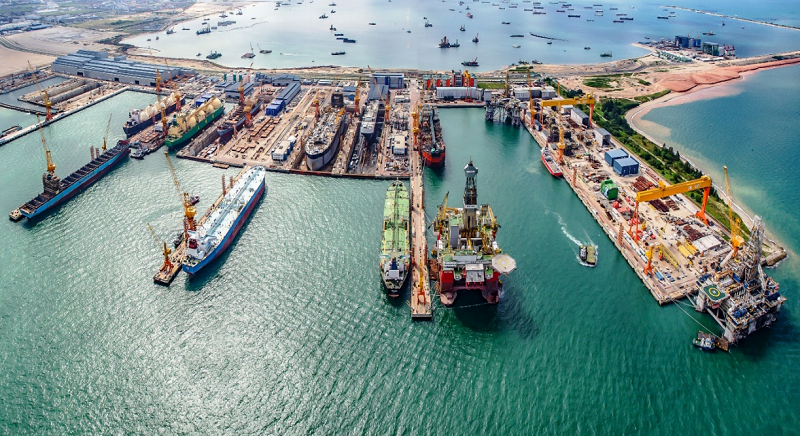 Disappointing contract wins and poor offshore engineering performance could plunge Sembcorp Marine into another period of losses for its results that will be released on 19 February, UOB Kay Hian said. According to a research note, UOBKH expects a core net loss of $78m for 2018. A loss of $27m is implied for Q4, driven by continued operating losses from the core offshore engineering and repair segment, partially offset by higher interest income from the delivery of Borr drilling rig Natt on November 18. UOBKH analyst Foo Zhi Wei noted that an additional $420m of new contracts were announced in Q4, bringing total contract wins for 2018 to about $1.2b. This excludes the variation order from Transocean for one of its drillships. “The total figure is likely to be short of our $2b expectations,” he said. Meanwhile, Sembmarine’s offshore engineering and repair segment is expected to continue reporting a negative operating margin. UOBKH projected a negative 3-4% change. “Revenue for the quarter is likely to include $180m-190m from the delivery of Borr rig Natt, on top of revenue recognition for other projects,” Foo said. UOBKH added that a turnaround is unlikely for the H1 2019, and investors might have to wait until H2. “In order for Sembmarine to stage a full profit turnaround, operating margin for the core offshore engineering & repair segment must improve to at least 0-1%,” said Foo. As of Q3, the headline margin for the segment is -3.9%. “Unless Q4 stages a dramatic turnaround, the likelihood of a profit turnaround in H1 2019 seems low for now, and we look for signs that point to an H2 2019 turnaround,” the analyst added. According to UOBKH, whilst the market expects Sembmarine to make further provisions for its Sete Brasil contracts, the likelihood appears low. Keppel Corp had provided another $167m for Sete Brasil in Q4, bringing total provisions to $467m. In contrast, Sembmarine provided only $329m in 2015. Accounts from Sete Brasil showed that of the US$1.9b ($2.6b at current forex rates) Sembmarine received from Sete Brasil, US$420m was for three rigs that had yet to start construction. Sembmarine reported US$160m in arrears in April 2015 for rigs under construction. Subsequent completion beyond April 2015 probably saw the figure rise to US$277m, Foo said. “Even then, the deposits collected more than offset the arrears. With unpaid construction costs covered and an estimated $45m (US$33m) required for profit reversal, the bulk of the $329m provision likely relates to the uncovered cash cost needed to complete the first two rigs (Arpoador and Guarapari). For the last two rigs (Camburi and Itaoca), completion stood at 31% and 60% respectively as of the last update,” he added. With costs for construction completed thus far likely covered, Sembmarine can opt to abandon the project. “Otherwise, it will have to make sizeable provisions to complete the drillships, given that current newbuild prices at US$290m remain significantly below the cash cost required to complete them,” Foo concluded.